"Dear Jenny, Our recent Kimberley trip was everything that we had hoped for - and more! It was a wonderful experience from start to finish. The crew of Coral Expedition1 were terrific and certainly kept us busy every day. I have about 700 photographs that I now have to go through and cull. Who knew rocks could be so fascinating! Thank you for your help in arranging our experience. We loved it." Dear Jenny, We would like to thank your company for organizing our Odyssey trip in the Kimberley.It was fantastic and we enjoyed every moment.We had great weather and the team were wonderful.We also loved the extras provided by Flower Travel. The apartment on Roebuck Bay was lovely and the Willie Creek Tour of Broome was 1st class.Thankyou again and we are definitely interested in other trips. The success of the trip has been largely due to you Simon and your staff as well as your affiliate companies in these countries. 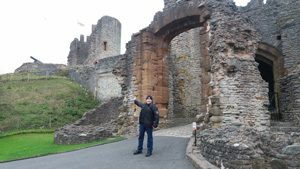 It is pleasing to say that all of the guides were there when they were supposed to be, and that they were all great company which made our introduction to each country that much more enjoyable and informative. I hope that you can pass on our thanks to your affiliate companies regarding their guides’ assistance. I just had to let you know what a sensational time we had on our round the world jaunt. Your experience in this industry and your vast knowledge of the countries we visited made for a stress free holiday - even though we did fit in seven countries in five weeks! Many thanks to you both for organising the flights, car and accommodation, especially the late check outs. It all ran smoothly and we loved every minute of it. I’ve already suggested to a friend that they get in contact with you as I know that they will be well looked after. mind-boggling. All your arrangements worked as well as always.. This was an excellent holiday and credit must go to you and your team for the planning and organisation of our holiday. Everything went as per our itinerary... actually there was not one hitch in the entire holiday. Yes we LOVED Vietnam, the local transfer people were great and very efficient, the Nam Hai was absolutely amazing, we loved it so much that we wished we went there all 9 days!! The first 4 days were full on and a little rushed as we did fit a lot in but the junk boat was heaps of fun and we thoroughly enjoyed every bit of it but I will say again the Nam Hai is worth every penny and our favourite place was Hoi An, the people were friendly, the clothes amazing but the Nam Hai, I could live there! It truly is a first class hotel and the staff are amazing and we couldn’t fault one of them or any of the food or drinks there. Thanks so much for organising it for us, yet again you did an amazing job. You are our travel agent for many years to come! It has been a wonderful experience. Please keep doing what your doing. Some of your very happy travellers. From right to left, Paige, Jennifer, Dale, Marguerite and me. Nothing needs improving. It has been a wonderful experience. Please keep doing what your doing. Just in case my card goes astray, I 'd like to thank you all for organising my most wonderful cruise - It certainly was sublime !! I could rave on for hours but you probably would switch off, so thanks again for a truely wonderful experience, beautifully organised from your end. We had a great time. We enjoyed the whole trip and everything ran according to plan. Thank you again for your help and patience when we got a little nervous at times. Much appreciated and we would recommend you and your company to anyone and everyone. We got the best flight deal ever! I just wanted to write and thank you very much for the best trip I’ve ever had! You were incredibly helpful and very patient with my million and one questions throughout the process. Plus we got the best flight deal ever! Andy and I had a ball and would recommend the whole Trans-Sib experience and Flower Travel to anyone. Everything went as smoothly as it could, we met awesome people and saw amazing things. Mongolia and Russia were just the best, we’re already busting to go back and do some more…maybe St Petersburg next time? Anyway, thanks again and we’ll definitely be coming to you next time we go off on our adventuring! 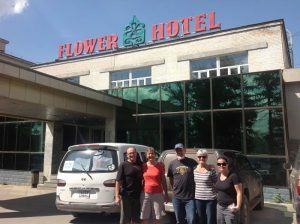 Your assistance with arranging our trip has been, like our previous trips with Flower Travel, extremely efficient and professional. Thank you all so much for helping to make our holiday an absolutely awesome experience. Words cannot express how we have enjoyed this adventure. All flights, hotels, tours etc were all stress and hassle free. The Kimberley is such an amazing place. We wondered whether we would consider this holiday as 'value for money', but how can you put a price on what we have experienced. Australia is so huge and we were in very remote areas with limited outside contact. We have returned with big smiles on our faces, new friends and lots of stories & photos and very fat tummies etc. A big thank you from the three of us for your part in making our trip to the Kimberley such a fabulous holiday. Thanks again for your organisation, your recommendations and your complimentary additions - it all came together to give us a wonderful and stress-free holiday. I'd go back and do it all again next week given half a chance. Arrived home last Sunday from our trip of a life time. Everything from day one until getting back home was organised perfectly without a single issue in the five weeks we were away. The way you kept us informed on trip happenings over the last twelve months has been most professional & we sincerely that you. All the small details were looked after with transfers & accommodation were excellent. Singapore was a great stop over both ways. Loved the transfers to & from the airports to hotels made us feel important. We would again like to thank you both & your staff for our most enjoyable holiday.Both of us would not hesitate in highly recommending your company to any client interested in travelling. I have one complaint. The cruise was too short. Apart from that it was excellent. The weather was perfect, the scenery was magnificent, the crew were splendid, the ship and the cabin were more than we expected and the food was exceptional ( I gained 1kg that I don’t need). The trip in total went extremely well. 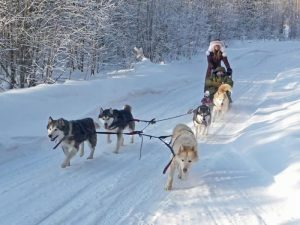 From the flights to our accommodation and the tours, they went without a hitch. I guess what I’m trying to say is, that it’s great when a plan comes together. I have no hesitation in recommending both the cruise and Flower Travel to anyone who will listen. There is no way we could have done this with another travel agent. We should let you know that you were one of the few travel agents that actually let people know about the change to our cruise itinerary, Cruiseabout had not told any of their clients so there were lots of surprised people on board who didn't know about Lombok cancellation. Can I just say that I have been totally impressed with the level of service we have received from both Heidi and Karen, it has been exceptional, and you can be very proud of this level of customer service. You can be assured that we will continue to use your services, and recommend Flower Travel to our friends. Our trip to the Kimberely exceeded expectations on every level. The exposure to indigenous art on the magnificent rock faces was a highlight. The cruise was fantastic. We were especially impressed by the crew - a fabulous bunch of hardworking generous spirited people who made our adventure awesome. We felt lucky to have that Skipper - his cultural knowledge of the area was great…and just an all round lovely guy. Everything went like clockwork. Thanks for your organisation. Our next trip? We would like to travel the Inside Passage to Alaska…. Thanks again. It was awesome. Hi Simon and staff, You just did the best of organising our trip, SO GOOD!! I have never enjoyed a holiday as much, everything was spectacular. 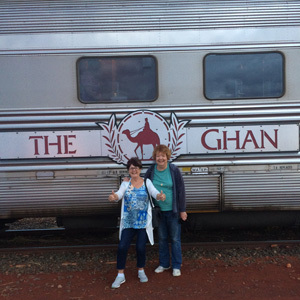 The Ghan so incredible with the attention we received was marvellous,and the cruise will remain forever in my heart and soul!! The Kimberley is sooooooo fabulous!! 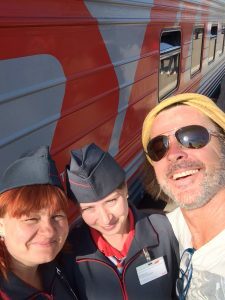 The crew on both the Ghan and Coral Discoverer was silver service to the max and so "hand picked" to do their job, I shall be recommending both to all I meet. Top job Flower Travel!!!! "Just wanted to let you know that we have returned from our break in Iran….thanks for your help with organising everything. Really appreciate the effort and time that you spent with the planning - everything went smoothly and we were in extremely capable hands over there. Iran is one of the most hospitable, friendliest and safest countries that we have ever been to! Even bumped into One Republic while we were transiting in Bangkok!" 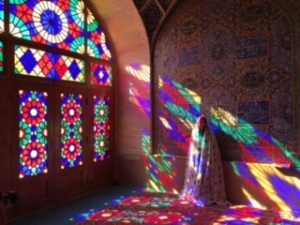 "Here is a shot that I took at the Pink Mosque in Shiraz – they were doing a modelling shoot at that time ……. without their headscarves on – and in a mosque !!! A lot more liberal than I perceived! "